OMICS International has propounded many international Scientific Alliance activities in collaboration with numerous international academic and research institutions. It has already signed agreements with more than 1000 scientific associations from across the world to propagate open access publication on various scientific disciplines. OMICS International (and its subsidiaries), is an Open Access publisher and international conference Organizer, which owns and operates 700 peer-reviewed Clinical, Medical, Life Sciences, and Engineering & Technology journals and hosts 3000 scholarly conferences per year in the fields of clinical, medical, pharmaceutical, life sciences, business, engineering, and technology. Our journals have more than 15 million readers and our conferences bring together internationally renowned speakers and scientists to create exciting and memorable events, filled with lively interactive sessions and world-class exhibitions and poster presentations. Join us! OMICS International is always open to constructive feedback. We pride ourselves on our commitment to serving the Open Access community and are always hard at work to become better at what we do. We invite your concerns, questions, even complaints. Contact us at [email protected]. We will get back to you in 24-48 hours. You may also call 1-800-216-6499 (USA Toll Free) or at +1-650-618-9889 and we will return your call in the same timeframe. I was delighted with the speed and efficiency with which my paper was processed. The friendly and personal communications with editorial staff also made the experience extremely pleasant and easy. I should be happy to recommend Journal of Pharmaceutical Care & Health systems to anyone. 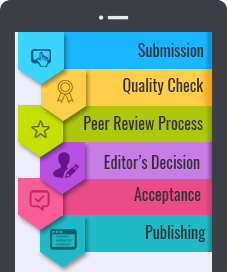 The OMICS International has the reputation for quick reviewing and publishing original medical articles. From my personal experience, most of our original medical articles would be published within 3 weeks. Moreover, the editorial boards of most the OMICS International journals have many dedicated and reputed scientists as editorial members. Thus, I am grateful for their assistance and currently review work of other scientists. I have served as an editor for Journal of Nanomedicine & Biotherapeutic Discovery for two years. The journal has an unique aspect covering Nanomedicine and Biotherpeutic discovery, which many journals in the area of Nanomedicine cannot provide at the same time. The publishing process was relatively smooth and quick. The journal is contionously publishing good review and research papers. I had a very wonderful and satisfying experience with the Journal of Bioprocessing and Biotechniques since last five years. I would definitely consider the journal for future publications. I would highly recommend Journal of Bioprocessing and Biotechniques for your future publication. Also, it has been an honor to work as a member of the editorial board and currently as Editor-in-Chief of the journal. I am enjoying to working with OMICS International.